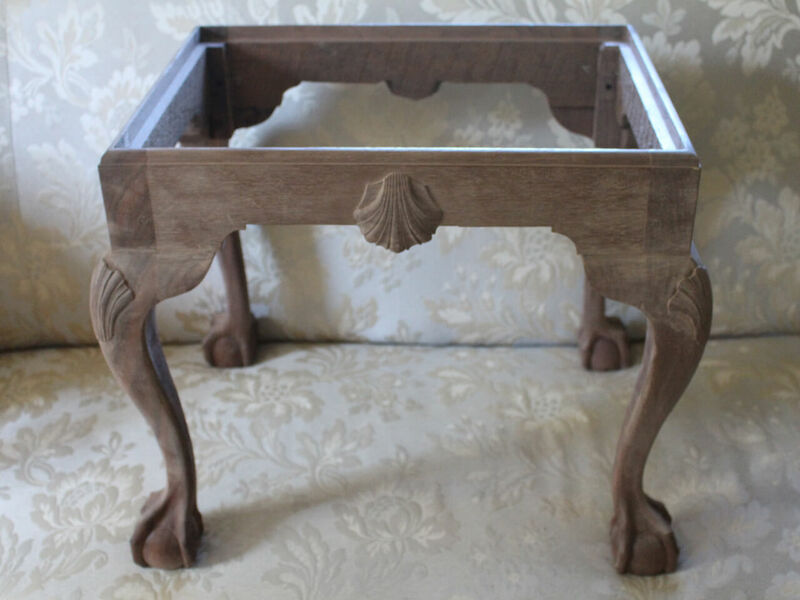 Based on a Philadelphia model of about 1780, this walnut stool has shaped skirts and ball and claw feet, as well as shells on the long skirts and knees. All materials will be provided, as well as a muslin slip seat, lacking only the dress fabric of your choosing. Helpful but not required: “How to Use Carving Tools” Class, or any ball and claw class. Carving tool designations are Pfeil numbers as found in the Woodcraft Supply catalogue. Lie-Nielsen will give a 10% discount on any tools purchased by students for a class. This only applies to tools they make, not other brands that they carry.